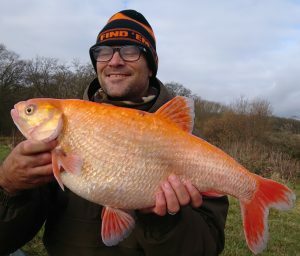 ANGLERS fishing lakes at Surrey’s popular Newdigate Fishery were amongst those that felt a 2.7 magnitude earthquake. 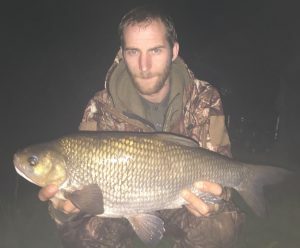 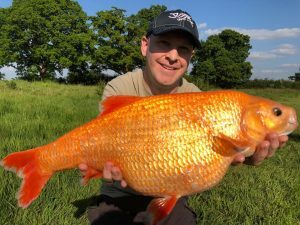 GOLDEN ORFE are the brightest fish in UK coarse fishing lakes… and Phil Morton caught this giant to illuminate a recent Angler’s Mail print magazine front cover. 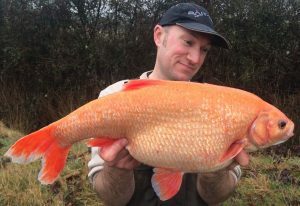 NOW this is a special golden orfe – giant in size, and from a venue where you might not have expected it! 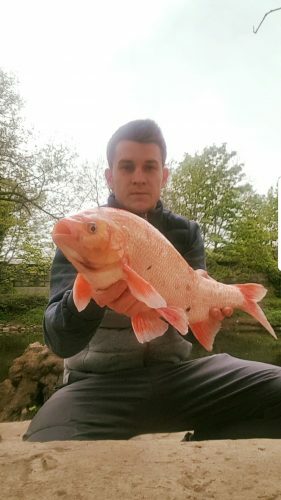 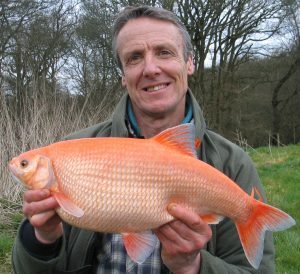 BRITAIN’S biggest ever ‘natural’ ide has been caught and it is pushing the official British record, listed under its other name – orfe. 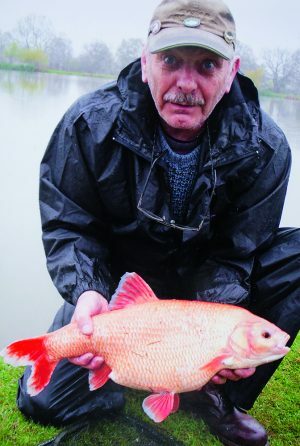 BARRY CUSHING cradles one of the country’s biggest golden orfe – scaling a whisker under 7 lb. 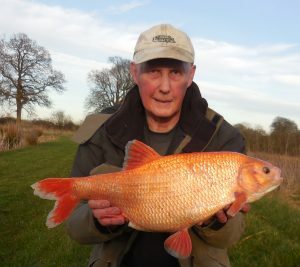 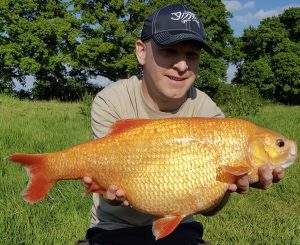 BILL “BARBEL BOB” BRISTOW had a 200 mile round trip to Surrey’s Newdigate Fishery for this personal best 6 lb 6 oz golden orfe.